If you’re looking for the best mini synths for a beginner or a pro, there’s a few options out there to choose from. We’ll cover some of the top picks in this guide. Quick answer: If you’re looking for something cheap and fun, the Korg Monotron Mini Synth is the one that most musicians seem to like. Ideal for a beginner. But if you want something that you can take on stage, or get the best quality results, the Korg MS20 Mini Synth is the best bet. Ideal for pros and semi-pros. The rest of this post cover a few more options, as well as go into a little detail on each of the mini synths. 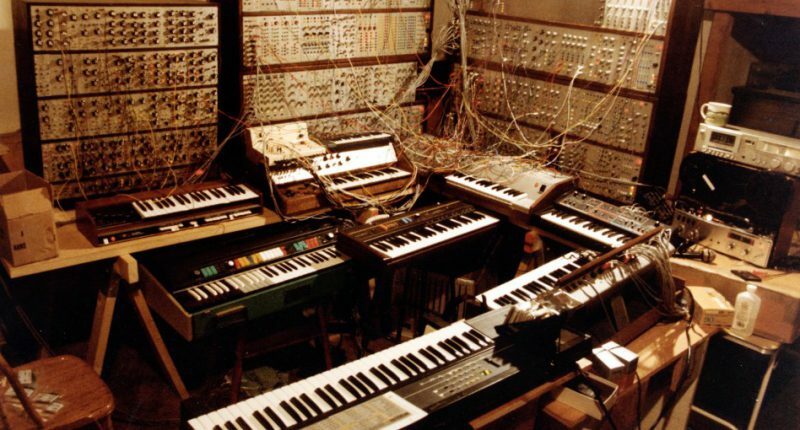 When synthesizers were first being used widely (and most other audio equipment), they were huge monsters. Entire rooms were filled with equipment from wall to wall to produce audio synthesis. Nowadays, you can fit twice the amount of equipment in a quarter of the space. In fact, with some of these mini synths, you can fit them into your pocket. And the appeal of mini synths is understandable, musicians love the idea of packing up their equipment and playing wherever they go. And if you have a small studio space, and a preference for analog hardware, a few mini synths won’t clutter your desk, rack, or floor. 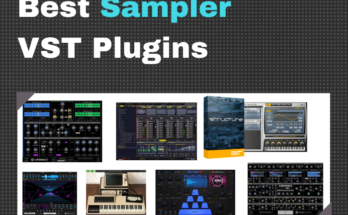 … whether you’re starting out fresh, or simply expanding your audio equipment repertoire. This 5” x 6.5” mini analog synth is a good example of a small device packing a huge punch. It looks like a toy in a way, but it actually contains all the necessary features of professional audio synthesis. It allows you to adjust LFO wave, rate, and depth as well as pitch and a few other factors. Unlike most mini synths, this one uses a stylus which helps it stand out from the rest. 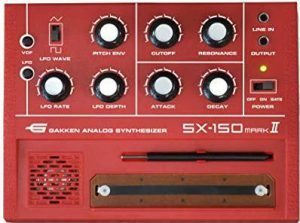 The Gakken SX-150 mini synth is an all-around well-made synth. It’s perfect for the beginner looking to break into the music production or the pro that wants some unique sounds in their arsenal. You can also get it if you’re looking to have a little bit of fun with you family or friends. Customers seem to love the small size, since it allows them the capability of playing music wherever. The Korg Monotron mini synth is a classic designed pocket-sized synthesizer with a membrane keyboard. The dull blue color almost adds to the 80’s feel of it. As synth, it allows for cutoff and peak control as well as a few options for pitch controls. This mini synth also has a built-in speaker that’s battery powered, unlike some of its competitors. The Korg Monotron mini analog synth is one of a kind for pocket-sized mini synths. Most other mini synths are about the size of a laptop keyboard. It’s perfect if you want to carry it around for spontaneous playing and jotting ideas for future tracks. Many of the customer reviews state that this mini synth provides everything they could ask for in a small synthesizer. Don’t expect to move mountains with this tiny synthesizer, but you can rest assured knowing it’s a perfect option for a musician on the go. The few criticisms point out that the sound doesn’t get very loud, and that the knobs may not be the strongest. But with such a low price point, you can’t expect to have the same level of quality as the more expensive mini synths. The Stylophone mini synth features a very unique way to use a stylus. There’s 2 membrane pads: the first pad allows you to use it as a keyboard, the second pad is a sound strip that slides between notes on a scale. The stylus itself packs neatly into the case for you to pack it all up quickly. This mini synth also allows you to adjust pitch, cutoff, feedback, and much more. It gives a wide array of adjustments compared to other mini synths in its price range. The futuristic membrane pads combined with the classic display presents a unique mixture of both preferences. 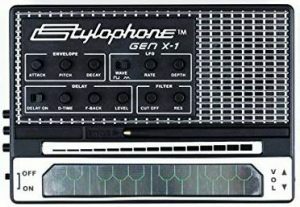 People say that the Stylophone Gen X-1 mini synth is a “perfect combination of new age and classic.” Many of its consumers enjoy the easy-use-use interface, which helps quicken the learning curve. Its only criticism is on the stylus. Other than that, most people love this portable mini synth. The Novation MiniNova Analog mini synth is one of the higher quality synths on this list, more suitable for pro level producers or beginners that want the best quality. It features piano/keyboard style keys for a familiar feel, and over 250 unique sounds. Armed with a vocal tuner and an great sound engine, the Novation MiniNova certainly deserves a place among the best mini synths. The Novation MiniNova mini synth is a state of the art machine as far as miniature synthesizers go. It has far more unique features and adjustments than almost any other synth in its price range. With all the on board specs, it still manages to hold a compact design for a pack-and-go feel. The only complaints that customers had were about the company, not the product. Although people may dislike Novation, they offer a warranty, which is unique for most mini synths. The MiniNova is an excellent choice for a musician looking to take the step to the next level. The Korg MS20 min synth is more on the expensive side for mini synths, but it’s worth a look, as it’s the most professional. 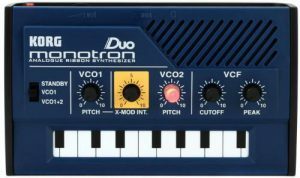 It has a piano-like keyboard for a familiar feel, and far more adjustments available than any other synth on this list. It also features a USB port and a MIDI port, which is a big step forward for mini synths as a whole. 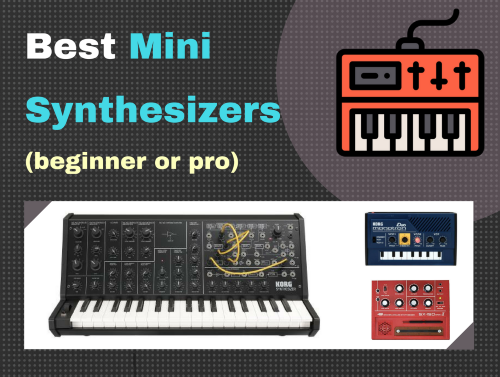 Unlike the other mini synths in this list, it isn’t really compact or at all “pocket-sized.” While it’s okay to be transported, its blocky body doesn’t make it ideal for “on the go” music making. That being said, it’s hard to fit so many features in too small of a machine. The Korg MS20 falls within the professional price range for a mini synths on the market, which is under or around $500. But with cost comes high quality. You can expect to have a much longer lifespan as well, which is confirmed by its consumers. They also love how it mimics a classic synth, with a much smaller body style. The only criticisms I could find are a few buyers saying that it feels toy-ish, with its knobs and wheels. That being said, this is a mini-synth. The quality of the audio coming from the mini synth is probably the best you can get, and from a top audio equipment maker. Read the rest of customer reviews on Amazon. Although mini synths generally won’t produce the same level of sound as a large format synthesizer, they really give them a run for their money, since you won’t find that many modern synthesizers that you can store in your pocket for recording on the go. But with the right price point and style, you can certainly made them worth your money. Even as a novelty, or a quick music break, mini synths are definitely worth checking out. If you want a small, cheap pocket sized synthesizer, the Korg Monotron mini synth is the way to go. Leave it in your pocket until you’re ready to jam. Show your friends and family, and maybe encourage them to learn how to make music as well. When you’re ready to step up to the next level of mini synths, the Korg MS20 mini synth is your best bet. Although it’s not pocket-sized, you can still enjoy the many features it has from a smaller synth. With a MIDI and USB port, there’s not much more you could ask for in a miniature synthesizer. To learn more about audio synthesis, read my series here, or check out this Wikipedia article on synthesizers.